You can easily reset your InstantPage password if you forget it, or feel that the security of your account is compromised. The new password you set for your InstantPage account is also the new password for your Account Manager. Go to the domain name for your InstantPage website. If you are already logged in, click Log Off, and then click Owner Login. Click Reset my password. The Reset My Password Authorization window displays on the right. Username / Customer Number — The username or customer number you use to Log in to your GoDaddy account. Email Address on file — The email address you used to set up your InstantPage account. Enter security code at right — Enter the characters that display. Log in to the email account you specified, and then open the message titled Information to Reset Your Password. 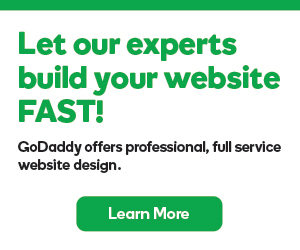 Customer Number — The customer number or user name you use to Log in to your GoDaddy account. Auth Code — Do not change the characters that populate this field. New Password — A password different than your current password. Confirm Password — Re-enter your new password.